I'm back with a new post in the new year! Happy (late) 2015! I just came back from my holiday break in Spain where I also "celebrated" New Years Eve (meaning: I stayed in my hotel room because I was feeling poorly!). 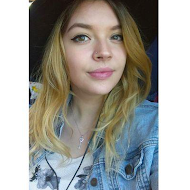 Today I thought I'd show you what make up I took with me on my holidays. Hope you enjoy! First of look at my cute bag! My mum's co-worker designed and made this herself and I'm absolutely in love with it. 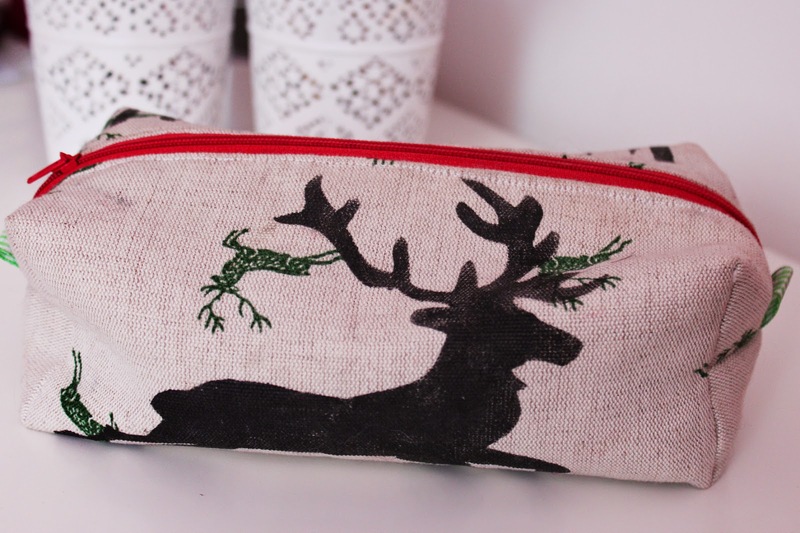 I don't know what it is but lately I've been obsessed with deer prints so this one is my new fav! 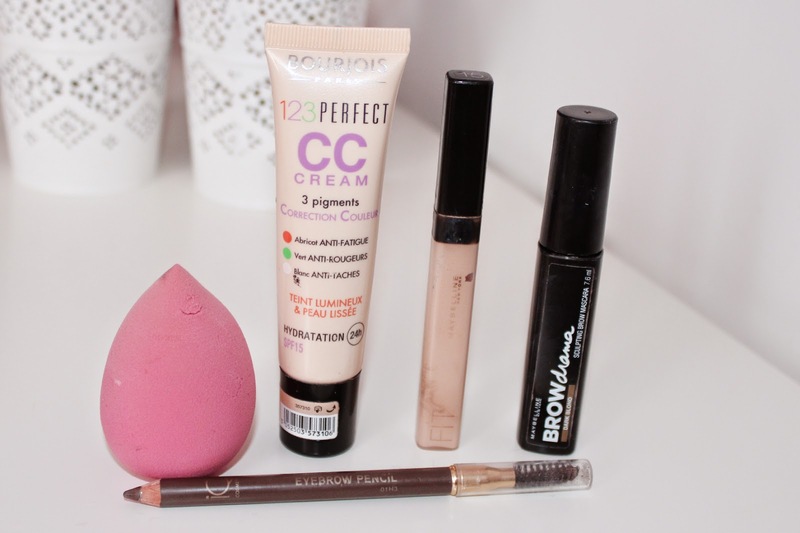 For an even base I took my Bourjois 123 Perfect CC Cream with me. I just repurchased this as my old one, that I bought back in June, ran out - can't believe it actually lasted me that long. I've done a review on this here! I apply this with my ebeline makeup sponge. Next up is my new favourite concealer: the Maybelline FitMe concealer in the shade 15! This is super creamy, gives great coverage and stays put throughout the day. I fill in my brows with the IQ Cosmetics Eyebrow Pencil in the brown shade and then go over them with the Maybelline Brow Drama in Dark Blond. I've recently dyed my brows and find that this combo works best on my now darker brows! I took only two eyeshadows with me: a light champagne shade from GOSH, this is "01" from an old gift set that I once got from my Secret Santa. And a brown shimmery shade from essence with the name "09 Get Ready!". I should probably bin both of them because of their expiration date - but up until now they've been fine. To make them last longer I used my Pro-Base Eye Primer from Makeup Academy (review here). The next product is the Look by Bipa Eyeliner Liquid: I picked this up for my Halloween makeup (instagram photo here - follow me if you fancy) which it was fine for, but for an everyday cat flick it definitely isn't my favourite as it smudges easily, so I don't think I'll be repurchasing it! I curl my lashes with the ebelin eyelash curlers and then coat them with the Maybelline Volum' Express The Falsies Flared Mascara (that's the german name on the product for you ;D). 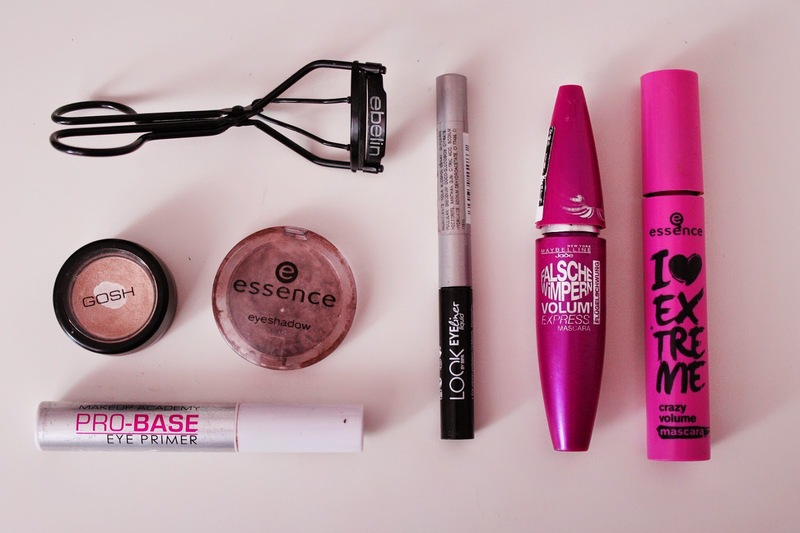 Sometimes I go over them again with the essence I Love Extreme Crazy Volume Mascara for some extra drama. 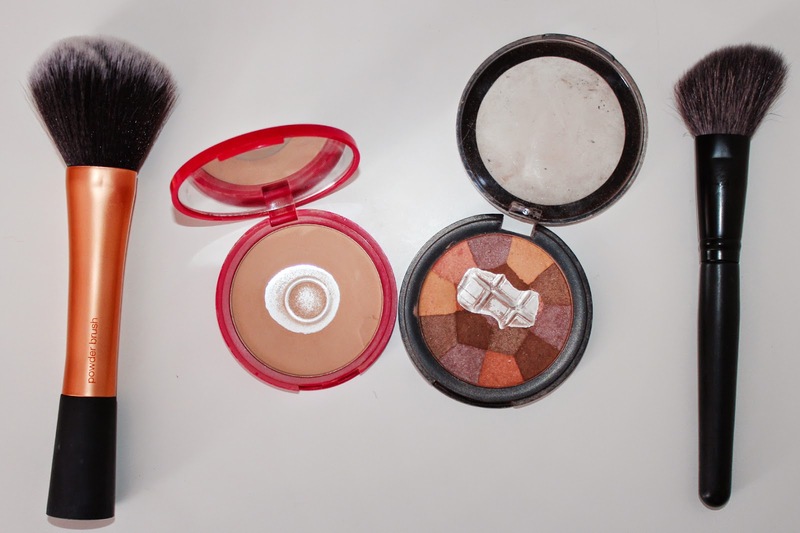 To finish off I powder my face with the Real Techniques Powder Brush and Bourjois Healthy Balance Powder in "55 Beige Foncé" and slightly contour my face with my favourite bronzer MUA Mosaic Powder in "Natural Glow" (read my review here) and a brush from superdrug. And that's all the makeup I took with me on holiday - excluded the lipsticks in my handbag, if you want to see those just let me know in the comments below! I hope you have a great day! Also there is still some time to enter my MAC lipstick giveaway - check it out here!